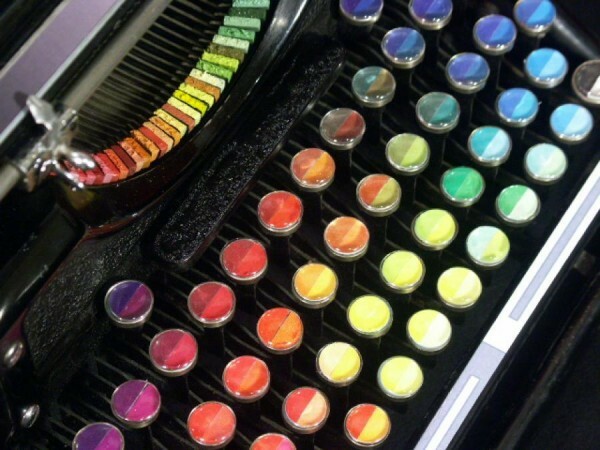 Feeding my on-going love affair with typewriters (read more blog posts here) is the ‘Chromatic Typewriter’. 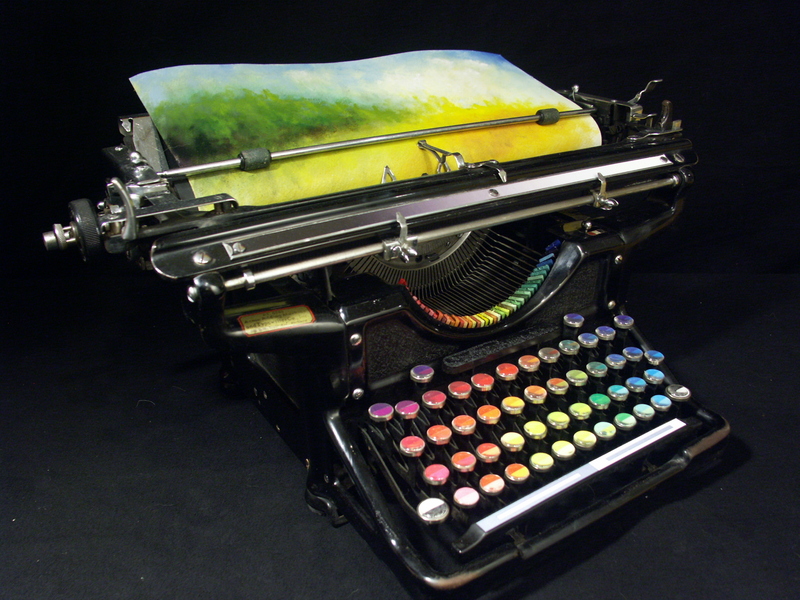 Washington-based painter Tyree Callahan modified a 1937 Underwood Standard typewriter, replacing the letters and keys with colour pads and hued labels to create what he calls a ‘functional “painting” device’. 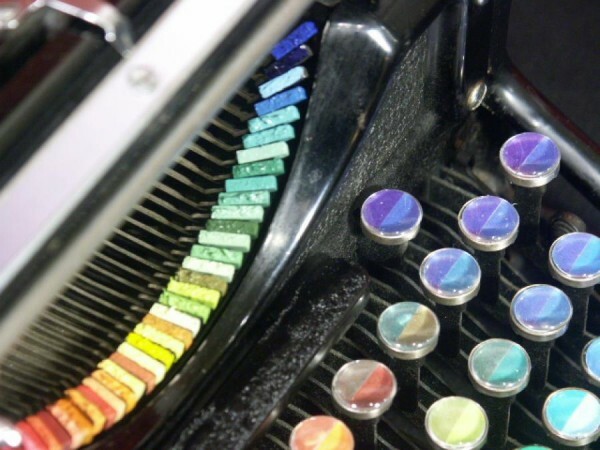 I’ve been trying to work out what the keys are made from…pastels? Chalks? Crayons? Something that has a powder-like quality that will leave an impression after the finger key pressing-typewriter arm levering-page hitting process. Do the keys need to be moistened before use? So many questions! 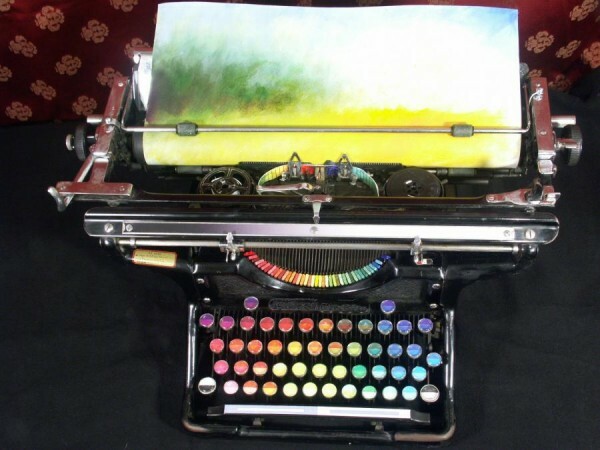 This typewriter along with the electronic music box typewriter called ‘D.O.R.T.H.E‘ that I’ve previously blogged about, have a sort of synergy, or a potential for synergistic effect. From this marriage of sound, colour and type(writer)…what could it produce?